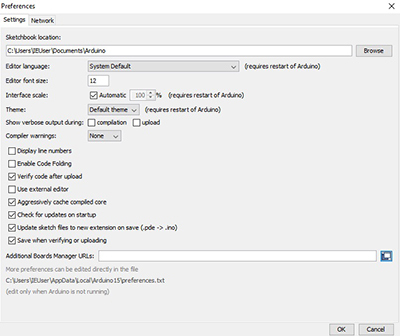 Start the Arduino IDE, open the Preferences window with File > Preferences in the menu bar. 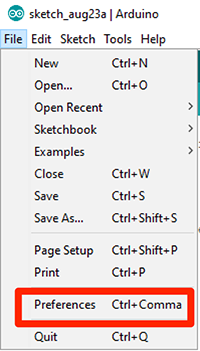 Use the search input file. Search for esp32 and select Install. After the install a section ESP 32 in the menu Tools > Board should occur. 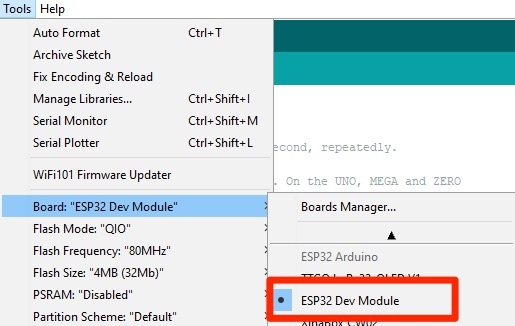 Now select the ESP32 Dev Module in Tools -> Board.